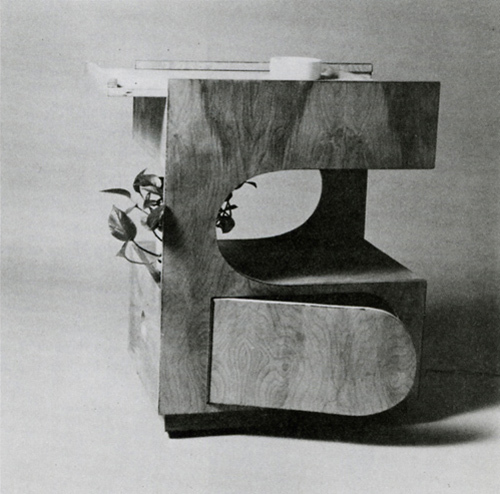 A final post on great DIY furniture from Spiros Zakas’ 1979 “More Furniture in 24 Hours” book. 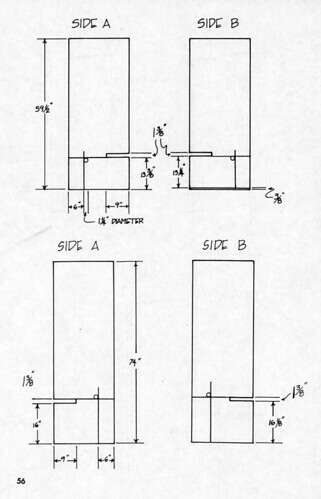 If you want the building plans for any of these pieces, go to this Flickr set. 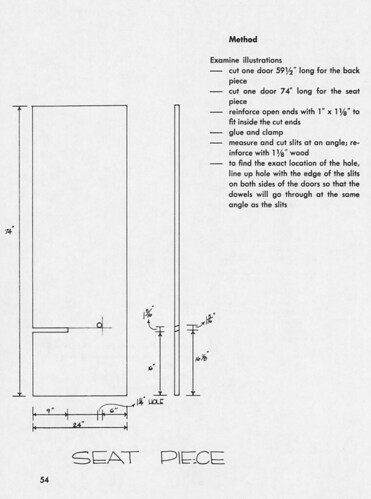 The plans for the long bench chair at top, “Sculptural Seating by Gigi Hernaez”, are at the bottom of this post—click below or see Flickr. 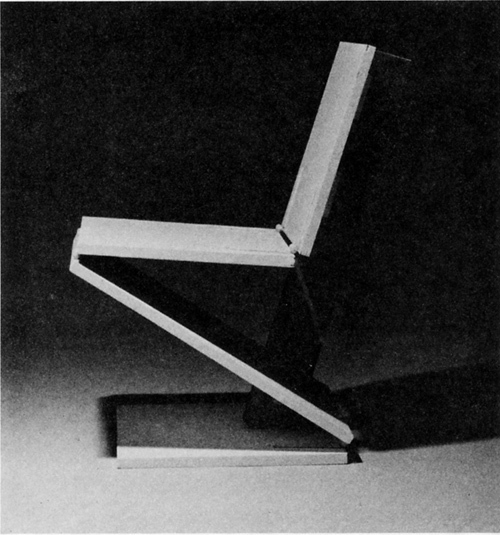 It’s almost reminiscent of Carlo Bugatti’s famous folding chair of nearly 100 years earlier. 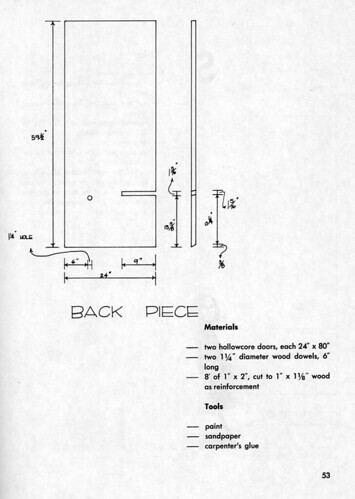 The next 3 pieces are the Laplander Chair by Mark Nøre, the S.O.S. 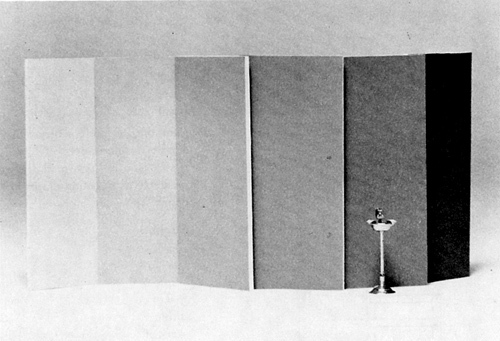 Night Table by George Thomopoulos, and Folding Screen by Mark Nøre. Click on the photos to go to my Flickr. If you still haven’t had enough, there are lots of second-hand copies of the book at abebooks! 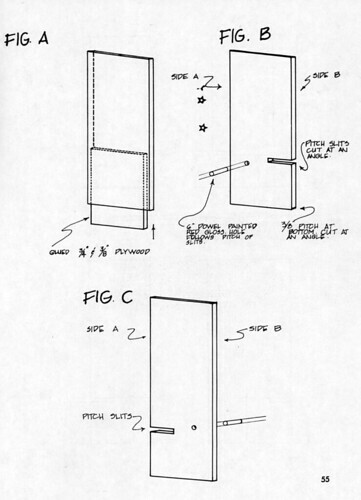 Please, if anyone makes any of these designs, can you possibly send me photos and tell me how it went? 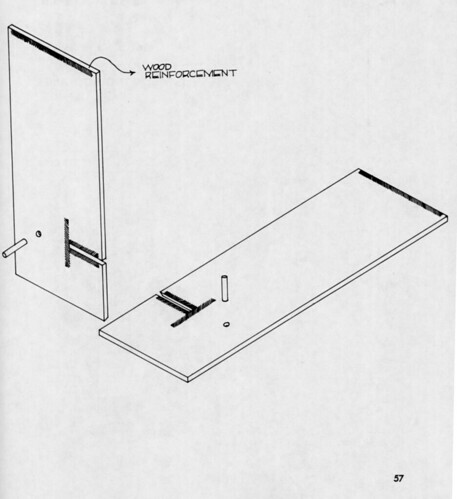 This entry was posted on Friday, January 9th, 2009 at 12:41 pm	and is filed under book, design, DIY, furniture. You can follow any responses to this entry through the RSS 2.0 feed. You can leave a response, or trackback from your own site. Looks cool. Does anybody know where this designer is today?